In the United States, Mercedes-Benz is primarily known for its luxury cars. 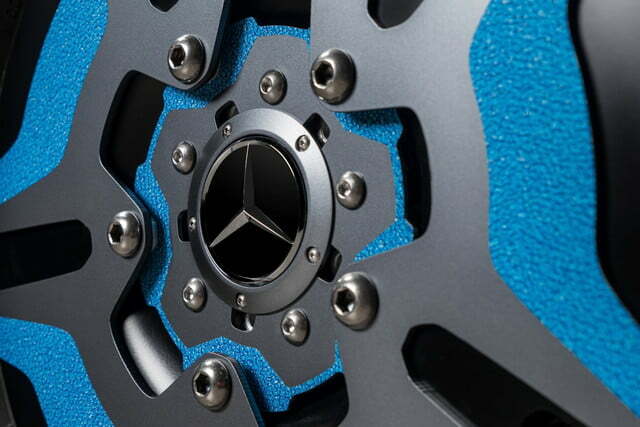 But elsewhere in the world, the three-pointed star is just as familiar to buyers of commercial vehicles. 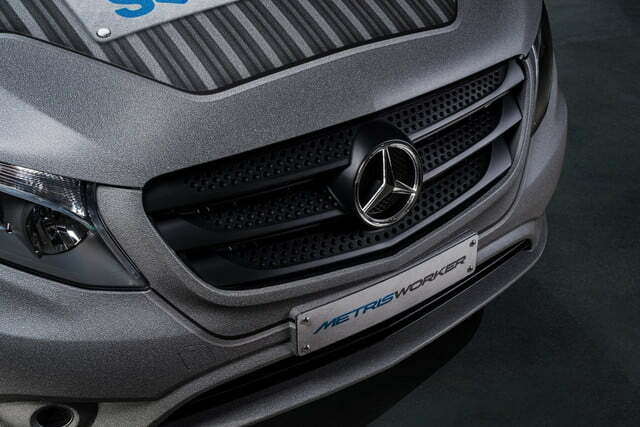 Mercedes wants that to be the case here, too, so it’s aggressively promoting its Sprinter and Metris vans. 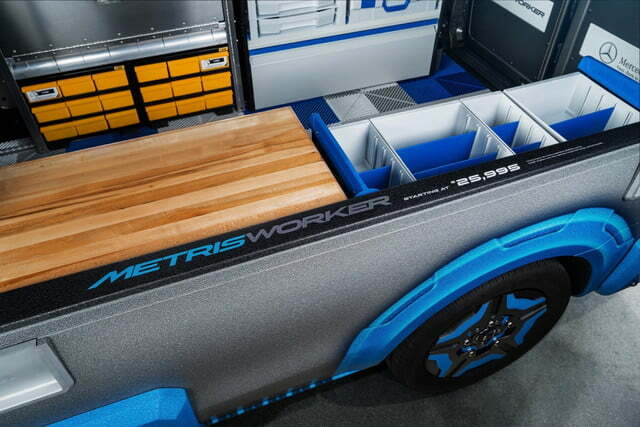 At the 2017 Chicago Auto Show, Mercedes unveiled a concept version of the Metris called the MasterSolutions Toolbox. 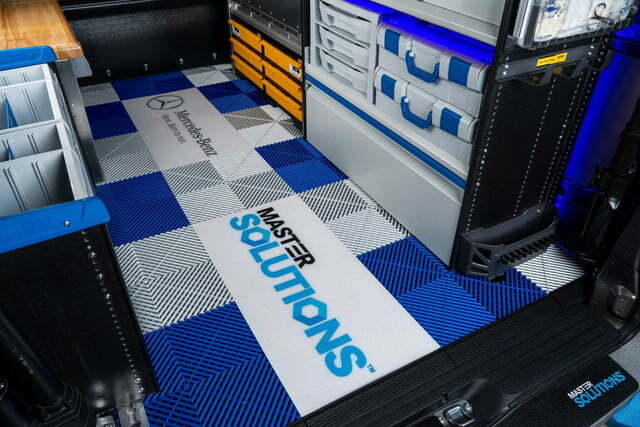 It was built to highlight Mercedes’ MasterSolutions program, which allows customers to order “upfit” equipment from third-party companies. 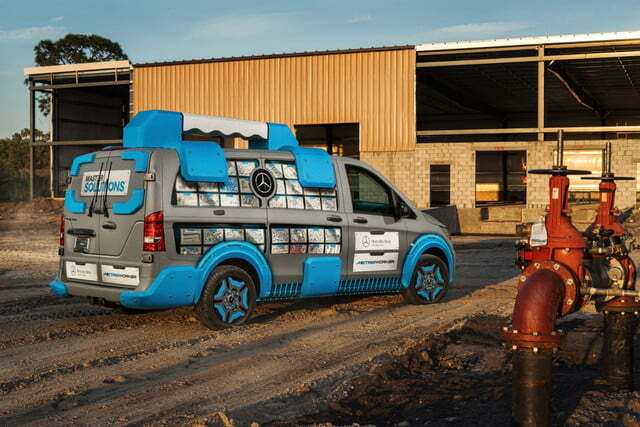 True to its name, this kitted-out van is a toolbox on wheels. All it takes is one look to realize that. 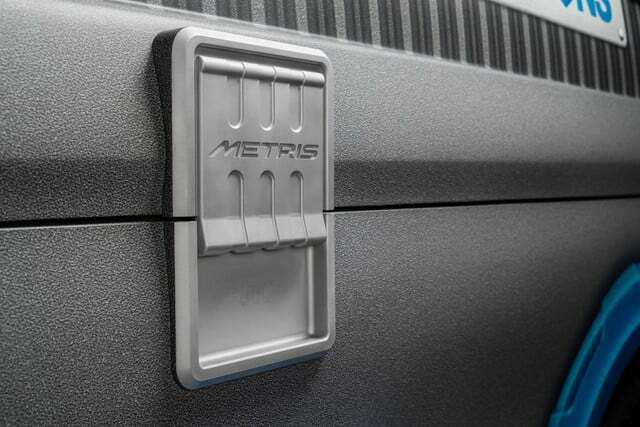 The Metris MasterSolutions Toolbox actually sports a giant handle and latches, just like a giant toolbox. 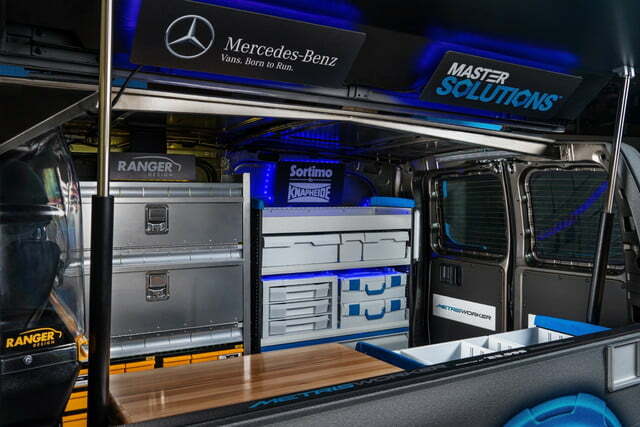 On the inside, it features an array of shelves, racks, and removable cases from some of the companies Mercedes works with in its MasterSolutions program, including Ranger Design and Knapheide. The cargo area is separated from the driver by a plastic partition, and has a tile floor designed to be both grippy and easy to clean. 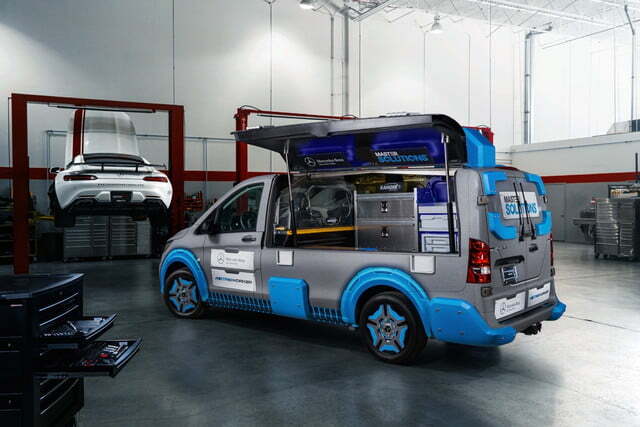 The van was converted into a giant-sized toolbox by RENNtech, which also built the crazy Mercedes Sprinter Extreme concept that appeared at the Chicago Auto Show last year. The MasterSolutions Toolbox concept is based on the Metris Worker model, a stripped-down version designed with fleet buyers in mind. That made it a more or less blank canvas for modification. While the body underwent extensive changes, the powertrain was left alone. The concept van uses the stock Metris 2.0-liter four-cylinder engine, which drives the rear wheels through a seven-speed automatic transmission. The engine produces 208 horsepower and 258 pound-feet of torque, which Mercedes claims is enough to get a stock Metris from 0 to 60 mph in about 9.0 seconds. A stocker Metris Worker can also haul 2,500 pounds, or tow 5,000 pounds. 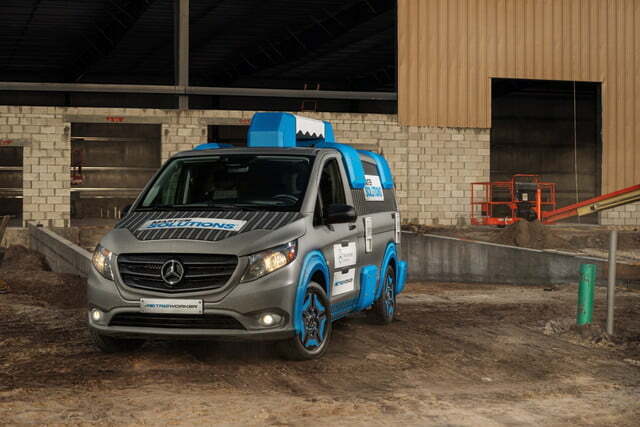 Mercedes’ MasterSolutions program allows commercial buyers to order extra equipment for their vans at the same as the actual vehicle order. When configuring a van online, buyers get options for things like racks and partitions from third-party companies alongside factory options. Once a van is ordered, it’s shipped directly from the Mercedes factory in South Carolina to have this “upfit” equipment installed. A giant toolbox handle probably isn’t on the list of options, however.